When speaking about czech food, the reason why it is not my favourite is that it is kind of oily and rich. 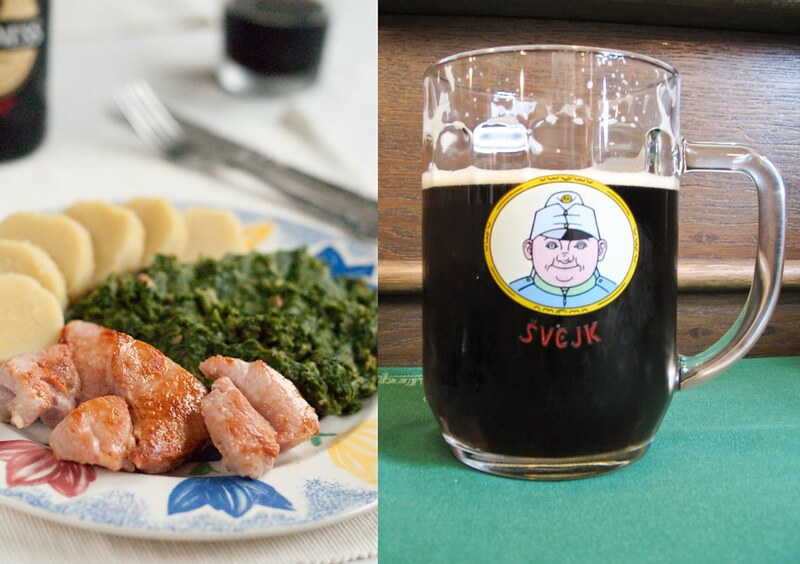 You will need to take catnap after having a proper czech lunch, washed down with a pint of czech beer! 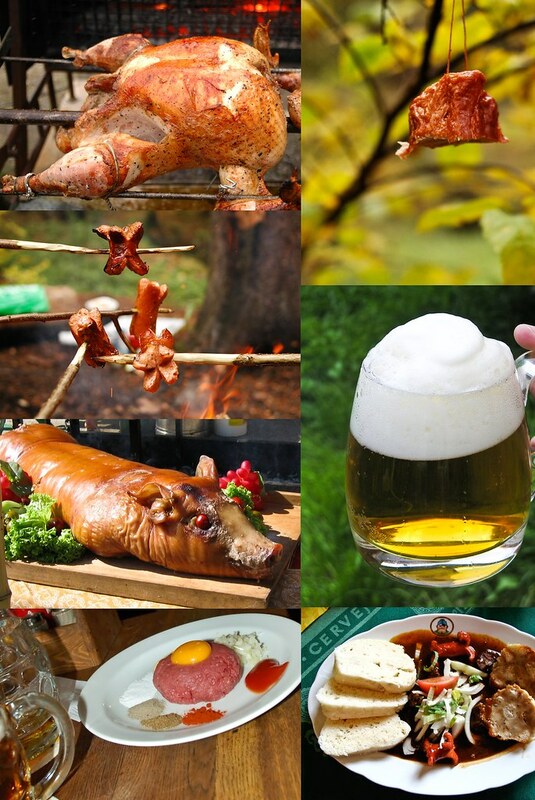 :) All kinds of sauces, dumplings, potato side dishes and meats are typical for traditional czech cuisine. The most typical dish is "vepro knedlo zelo" - pork meat with bread dumplings and sour cabbage. You have to drink at least a little glass of bear to digest this food! You see now? Compare it with, for example a british common lunch - a light sandwich or salad, coffee or juice and that's it (at least, that is what I have experienced so far)! My brain still works after such lunch. When I used to prepare this meal in Czech Republic, I usually bought a ready cooked smoked pork meat/ham and I steam cooked it. However, I did not find anything like this here, so I used an uncooked smoked gammon joint, which I pan-fried. I also mostly use instant potato dumplings as it is much faster. 1 Boil the potatoes until tender. When cool enough to handle but still warm, peel and rice or grate the potatoes. Let the potatoes cool completely before adding other ingredients. Incorporate the flour, semolina, egg and salt into the potatoes and knead the dough. The dough should be moist but not too sticky, add more flour if needed. Cut into 4 pieces and make 4 small rolls, about 5 cm in diameter thick. Cook in salted boiling water for 15-20 minutes. When cooked, take them out of the water and cut each in half. This will keep them nicely feathery. 2 Heat the oil in a small saucepan and fry the onion and bacon until lightly browned. Add the flour and stir well, fry for a while. Gradually stir in the milk, whisking well to prevent any lumps, add a little more of the milk if needed until it creates a smooth paste. Now add the spinach and stir often to prevent burning. Cook on a medium heat until the spinach is completely melted and heated through. Add the garlic, seasoning and heat for another 5 minutes. When almost finished, break in the egg and stir for a further minute until the egg has cooked. 3 Meanwhile, pan fry the sliced ham on each side for about 10 minutes, until nicely browned and cooked through. 4 Slice the dumplings and serve with the ham and spinach.